The Ohio State University’s wellness initiative, Buckeye Wellness, aims to improve the health and quality of life at Ohio State through evidence-based wellness education and tools. 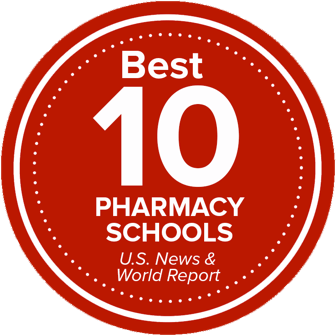 The College of Pharmacy has been recognized across the university for its culture of wellness for faculty, staff, and students. A variety of activities and events are available to help enhance and promote the nine dimensions of health: emotional, career, social, spiritual, physical, financial, intellectual, creative, and environmental wellness. The college also has a dedicated team comprised of Wellness Innovators (faculty and staff) and Wellness Ambassadors (students) who meet to plan and implement healthy activities. Fresh fruit is provided for students, faculty and staff in the Dean’s Suite each week (replenished Mondays). Fruit is not delivered on holiday weeks such as Thanksgiving or the winter holiday break. Visitors to Parks Hall will find filtered water stations to help with hydration. The college has a free little library located in the 129 hallway. The college is also home to a Take 5 Station to encourage students, faculty and staff to take a mental timeout by playing a sport, creating a craft or playing a game. The station is located in the 129 hallway. Wellness walks are held each month and are led by one of the members of the wellness team. Students have access to a licensed counselor two days a week, located in 142 Riffe Building. Services are offered Tuesdays and Fridays from 8 a.m.-5p.m. except on university holidays. Do you want to be involved, have questions or want to submit an idea?